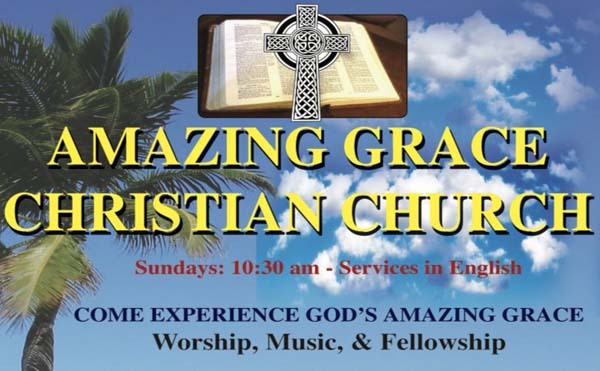 We are gratified by the things we see happening in our "Mustard Seed" church by the sea...Amazing Grace Christian Church. Our third season of operations is proving to be an exciting one. The Ikaria Condominum location is proving to be a good one, being close to Marival Residences and the Etc Beach Club in Nuevo Vallarta. Our big news concerns the authorization we received in January from the Mexican government to form a legal not-for-profit foundation---Fundacion Amazing Grace Missions, AC (AGM). AGM is the entity that will now provide the physical support to the families located in Colonia Majisterio and Bosques de Progreso. The spiritual support will continue to be supplied by our two mission churches Gracia Asombrosa (Amazing Grace) located in these same two areas. AGM is now offering weekly English classes for the children, school expenses support for the families, computer education class planned for summer, and a 6-month job training program co-sponsored with the state of Jalisco job training organization IDEFT. We will have a number of adults enrolled in this program in April of this year. They receive certification at the end of the training in the specific area that they were trained, and will receive assistance in finding a job or starting their own business. In addition to these programs, AGM is providing food and medical assistance to these families. We are excited by the prospects of supporting these families spiritually and physically to give them a future and a hope and to become productive members of society. As with any organization, we need your support in order to continue and to to flourish....particularly as the summer slowdown approaches. Tax Receipts can be provided at year end for all contributions of $250 USD / CAD or more. (Please make your check payable to: Fundacion Amazing Grace Missions, AC, and let us know of your donation so we can be sure that it is properly received here.). If you have any questions, please let us know. Thank you for your support, and we look forward to seeing you when you are in Vallarta. May the Lord bless you and keep you wherever you go.